Service for Shannen Wesley, adored son of Kim Edgeworth Wesley, class of ’80, is this Thursday. Shannen Scott Wesley, age 25, of Toledo, passed away unexpectedly on Saturday, April 6, 2019 at the Toledo Hospital with his loving family by his side. He was born April 8, 1994 to Bradley and Kimberly (Edgeworth) Wesley in Toledo. Shannen was a 2012 graduate of St. Francis de Sales High School. He then went on to attend the University of Detroit Mercy to continue his studies and play lacrosse on a double scholarship for academics and athletics. Shannen mentored the youth in lacrosse and football through different camps. He was also involved in different organizations such as the Boys and Girls Club of Ohio. Shannen was an avid sports fan; always participating in a variety of sporting events. He loved music of all kinds, even playing the guitar. Shannen had a sense of humor and his smile could light up any room. His laugh was infectious, and is something everyone will miss. He was a kind, loving, generous, genuine person who never met a stranger. He enjoyed spending time with his friends and family, especially his nephews. Shannen was a fierce protector of his family and will be deeply missed by all who knew and loved him. Shannen is survived by his mom, Kim Wesley; dad, Brad (Julie Susor) Wesley; siblings, Aubree and Jacob; nephews, Dawson, Adrian and Noah; grandmothers, Kendra Wesley and Carol Edgeworth; uncles, Ramero (Ronnette) Wesley and James (Lori) Edgeworth, Jr.; aunt, Kris (Matt) Hunter; cousins, Ramero Jr. and Reese Wesley, Alex (Ben) Schoen, Conner Edgeworth, and Timothy and Cameron Hunter; special uncle, Daimian (Donna) Hatch and his daughter, Dannielle (Dominec) Gonzalez; canine companion, Jax; and many other loving extended family members and dear friends, too many to name. He was preceded in death by his grandfathers, Truly Johnson and James Edgeworth, Sr.; great-grandparents, Joseph and Francis “Ninny” Lubinski; and great-grandparents, Charles and Dorothy Wesley. The family will receive guests on Thursday, April 11, 2019 from 3 – 7:00 p.m. at Newcomer – Southwest Chapel, 4752 Heatherdowns Blvd., Toledo, (419-381-1900) with Memorial Services beginning at 7:00 p.m. in the funeral home. Those wishing to make memorial contributions are asked to consider any mental health organization or for suicide prevention awareness. To share a memory of Shannen or to leave a special message for his family, please click the “Share Memories” tab above. On Friday, March 15, 2019, Kenneth W. Kolinski, age 76, passed away peacefully at home surrounded by his loving family. Born on September 1, 1942, Ken was a humble man who loved and treasured his family deeply and valued his many lifelong friendships. He was preceded in death by his parents, William and Catherine and his grandson, Tyler Salyers. Ken is survived by his wife, Sue; sons, Robert (Liz), Matthew (Tiffany); daughter, Erin; grandchildren, Madelyn & William Kolinski and Sophia Connell. He is also survived by his brother, Phil (Jo); sister, Chris (Tony), and many loving aunts, cousins, nieces and nephews. Mass of the Resurrection will be held at 11 A.M. Tuesday, March 19th, at Our Lady of Lourdes Parish, conducted by Ken’s godson Fr. Patrick Rohen. The family will be receiving guests for 30 minutes prior to the mass. 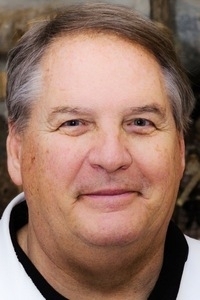 OTTAWA — Timothy A. Martin, 69, of Ottawa died 12:20 a.m., Friday, February 15, 2019 at The Meadows of Ottawa. He was born September 13, 1949 in McComb to the late Harold “Hap” and Esther (Jones) Martin. On September 22, 1972, he married Mary Braker and she survives in Ottawa. Other survivors include two children: Jeff (Amy) Martin of Galena and Kristen (Robb) Pickens of Ottawa; four grandchildren: Kayley Martin, Zack Martin, Kelsea Pickens and Ethan Pickens; and a brother, Harold “Joe” Martin of Leipsic. He was also preceded in death by a brother, David Martin. Tim was a manager for the former IGA in Leipsic, and a member of Sts. Peter and Paul Catholic Church, Ottawa. He was a graduate of Leipsic High School and had attended The Ohio State University. Tim enjoyed watching the cooking channel, writing down many recipes; although we never got him to make us anything. He also spent many hours on the computer searching for anything interesting and compiling his findings in one of his many binders. Tim’s greatest love was his wife, children and grandchildren. He always wanted to be a part of their lives in whatever way he could. He will be greatly missed. A Funeral Mass will begin 10:30 a.m. Monday, February 18, 2019 at Sts. Peter and Paul Catholic Church, Ottawa with Fr. Matt Jozefiak officiating. Burial will follow in the church cemetery. 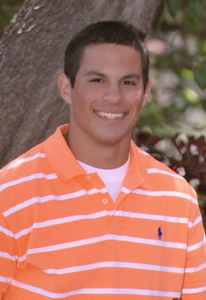 Visitation will be from 2-8 p.m., Sunday at LOVE FUNERAL HOME, Ottawa. Memorial donations may be made to Putnam County Council on Aging or Putnam County Home Heath and Hospice. Mark “Bart” Bartholomy passed away in his home on February 15, 2019. He was born in Lapeer, Michigan on November 13, 1954 to James and Verena (Kirsch) Bartholomy. He graduated from Bowsher High School, and worked for Airborne, DHL and Town Air Freight before his retirement. Mark had a talent for music; both singing and playing his saxophones. He attended many concerts and would argue with conviction that there was no good music written after 1980. He loved to cook and barbeque for his many friends and family. He is survived by his mother and 7 siblings, Deanna Malohn, Joe (Monica), Gregory (Phyllis), Ann Kear, Eileen (John) Juvinall, Rita (Donald) Shepler and Peter; sisters-in-laws Daun (Dan) Dietrich), Gail (Floyd) Trawick and many nieces and nephews. He was preceded in death by his loving wife Karla of 38 years on February 18, 2017; his father, James; and nephew Jeremiah Valiant. Coyle Funeral Home is assisting the family with arrangements. Please leave a condolence message at CoyleFuneralHome.com. A celebration of Mark’s life will be held from 11 a.m. to 3 p.m. on May 5, 2019 at the Walbridge Park Shelter House. It breaks our hearts to inform you that Edward J. Floyd DPM, 68, of Waite Hill, passed on February 6, 2019, but not without a valiant fight. Ed was preceded in death by his parents, Edward and Lois Floyd; nephew, Nicolas Iorio; and father in-law, Thomas Phillips. He is survived by his beloved wife, Susan; son, Byron (Amy) Floyd; daughter, Ashley (Eric Olson) Floyd; grandchildren, Byron Edward Floyd and Brennen Mansell; siblings, Kay (Charles) Gifford, Jeane Swemba, Susan (Timothy) Iorio, Michael Floyd, Laura (David) Rahanian, Amy (Rob Brown) Goins, Lisa Armstrong, Patrick (Clare) Floyd, and Cindy (Charles) Skeens; aunt, Mary Corese Floyd, S.N.D. ; mother-in-law, Patricia Phillips; and sister-in-law, Diana (Harry Gianakis) Phillips. His soul is now in the company of those we have lost before him. He peacefully went surrounded by his beloved family. Ed has touched the lives of so many, from Toledo St. Johns High School ‘69 to John Carroll University ‘73, in his private practice as a Board Certified Podiatric Surgeon, and on the softball fields as a player, coach, and backer. Ed is also a member of the Toledo St. John’s Hall of Fame, John Carroll University Athletic Hall of Fame, as well as The Greater Cleveland Slo-Pitch Softball Hall of Fame. He truly was a titan among men. His passion was contagious and his motivation was helping others. Ed fiercely loved his family. He had a knack for making you feel like the most important person in the room, and to him, you were. He will be sorely missed. Thank you to all who knew him, as you all know, he loved everyone. Dr. Edward J. Floyd Celebration of Life, Friday, March 22 6:00 p.m. to 10:00 p.m., Landerhaven Event Center, 6111 Landerhaven Dr., Cleveland, OH. Please come and celebrate our father, friend, teammate, mentor, teacher, colleague, coach, and doctor. If you knew Ed in any way, we hope to see you there! Let’s make this a night to remember! All who knew him are welcome. 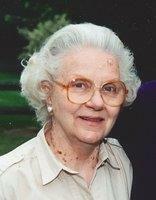 Ethel Barbara Swantack, 90, passed away peacefully on February 11, 2019 under the loving care of The Manor at Perrysburg. She was born on January 19, 1929 in Toledo, Ohio to Andrew and Barbara (Adams) Vigyo. Ethel worked as a sales clerk for Lasalle’s or Tiedtke’s (please let us know) department store and later at the Bridal Aisle. She also enjoyed her jobs at Toledo Candy Co. and at Ohio Bell as a switchboard operator connecting people the old-fashioned way. Reading, teaching, singing, and coloring with her children and grandchildren were priorities. She loved volunteering as a Lunch Mom at St. Patrick of Heatherdowns, and providing pies for the funeral luncheon committee at church. When Mom had a moment to herself, she would needlepoint, feed the birds, and make salmon patties. Some of Mom’s fondest memories came from Penn Mutual conventions in Florida where she would dance with “Buddy” every evening. When there was a party, you could always count on Aunt Ethel to bring the Heavenly Hash! Ethel is survived by her children Laura (Bob) Herroon, Lynette Swantack, Joseph Jr. “JJ” (Christine) Swantack, and Lizabeth Swantack (Mike Wilson). She leaves behind her grandchildren Anna (Kendall) Jones, Robert Herroon, Sarah (Brian Tagg), Joseph III (Alexis), and Robert Swantack, Juney, Samantha, Sabrina and Tara Wilson (Thomas Teknipp); and her great grandchildren Sophia and Ava Swantack, Zoey Tagg, and Mirabel and Camille Jones. Ethel is also survived by her sister Violet Campbell and brother Louis Maynhart. She was preceded in death by her parents, her husband Joseph “Buddy” Swantack (whom she met at St. Stephen’s when they were children), and her siblings Julius, Bobby, Dickie, Barbara and Eddie. Friends may visit at the Coyle Funeral Home, 1770 S. Reynolds Rd. on Tuesday, February 19, from 2-8 p.m., with a Prayer Service and a Sharing of Memories at 7. The funeral will begin in the mortuary on Wednesday, February 20 at 9:30 a.m. followed by Mass at St. Patrick of Heatherdowns at 10. Burial will be at Ottawa Hills Memorial Park. Ethel loved all flowers, especially yellow, and they are welcomed by the family. 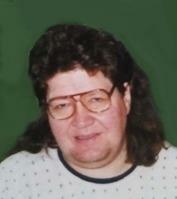 Please view Ethel’s Memorial Video Tribute and leave a condolence message for the family at CoyleFuneralHome.com. Charles George Irons, Sr. slipped away from us to join his daughter, Michelle in Heaven on January 23, 2019. He was born on December 20, 1944 in Toledo, Ohio to Roy and Virginia (Wymer) Irons. Charles was a proud graduate of Libbey High School. Charles spent his pre-retirement years with the railroad. From the Nickel Plate through New York Central, Penn Central, Conrail and Norfolk Southern, first as a Fireman and finishing as an Engineer, primarily in the Yard, retiring in 1998. He leaves behind, his wife of nearly 55 years, Marie, his children Rebecca Hussing (Sean LaPlante,) April Flynn, Christine (David) Chambers, Charles “Chip” (Amy) Irons, and Virginia (Charles) Hindbaugh; Grandchildren, Jessica (Michael ) Gregory, Samantha Atkin, Brandon (Jeanette )Beaverson, Zachary (Whitney) Flynn, Kaitlin and Hannah Flynn, Brittany Chambers, Courtney (Stephen) Youngs, Anthony (Amanda) Chambers, Jacob Chambers, Chase and Emma Irons, Celia (Joseph) Malagon, Chali (Carlos) Munoz, Acea (Jasmine ) Hindbaugh, and Charles, Elijah and Levi Hindbaugh. His Great-Grandchildren are Maraya, Camren, Mia, Samson, Isaac, Abner, Carlos, Jr., and Benjamin. Also surviving are his siblings, Judy Turner, James Irons, Lee (Barbara) Irons, Philip (Patti) Irons, David (Wanda) Irons and Vicki Hall, along with numerous nieces and nephews and cousins. Charles was predeceased by his parents, his first born daughter, Michelle and brothers, John and William Irons. Friends may visit at the Coyle Funeral Home, 1770 S. Reynolds Rd. on Tuesday, January 29 from 12:00 -4:00. The funeral service and sharing of memories will begin at 4. In lieu of flowers, you are asked to consider a donation to Double ARC, 885 Commerce Blvd., Perrysburg, OH 43551, www.doublearc.org, or The Victory Center of Toledo. 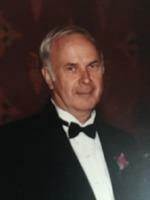 Please view Charles’ memorial video tribute and leave a condolence message for the family at CoyleFuneralHome.com. Harvey J. “Mike” Gavin, Jr., 86, of Maumee passed away Sunday, Nov. 25, 2018 . He was born Feb.27,1932 in Toledo to Harvey J. and Wilma (Liebich) Gavin. After graduating from Macomber, he began his career as a carpenter with the City of Toledo and served in the Naval Reserve. He then founded his general contracting firm, Gavin and Associates. Two noteworthy projects were St. Joseph Community Center in Maumee and The Parkcrest Medical Center in Toledo. He was also a partner in Knight Realty Property Mgt. He was a lifelong golfer and in retirement , loved his position as GM at Heatherdowns Country Club. Mike enjoyed his cottage on Sand Lake, and loved to travel, especially to Florida. He also enjoyed antiquing and cooking, collecting a vast array of cookbooks. His greatest joy was spending time with his large family and was always proud of their accomplishments. He is survived by his children Michael, Patrick (Letti), Maureen Kohlman, Timothy, Kathleen Mikulak, Colleen (Ralph) Schade and Daniel (Beth); grandchildren Michael (Lisa) Sean, Kelli, Colleen, Ryane (Michael), Chelsea (Dalton), John, Jacob, Kristen, Kelsey, Kevin, Karah, Jessica, Meghan (Flynn), Erin, Gavin, Brenden, Madison, Elise, Christopher, Joey (Shelby), Ellie and Annie (Jordan); great-grandchildren Zoe, Elliott, Asher, Jack, Flynn, Macy and Bryce; and sister Helene Cramer. He was preceded in death by his parents, son-in-law Gregg, former wife Helen and his niece, Sarah. Loretta Jane Tucker “The Best Mom” passed away Sunday September 23, 2018 at Heartland of Waterville. The daughter of Russell and Martha Gephart, she was born January 16, 1938 in Toledo, OH. She was a graduate of Scott High School where she was a majorette. She received her Bachelor’s from The Ohio State University as a Dental Hygienist. She worked for several area dentist offices throughout the years. Loretta liked to bake, sew and spoil her grandchildren. She spent her winters in Naples, FL at the Bayside Villas where she had many very close friends. Loretta will be remember most as a dedicated mother and grandmother, who worked tirelessly to provide for her family. She is survived by her children, Linda (Dave) Ball, Shawn Leister, Julie (Paul) Ketterman, Tim Leister; grandchildren, Kelly (Brian) Downey, Ryan Ball, RJ Leister, Luke and Lauren Ketterman, Russell Leister; sisters, Marda (Jim) Dewey, Iona (Bob) Valentine; many nieces and nephews; and special friend, John Lavery. She was preceded in death by her parents; husband, Leonard Tucker; and granddaughter, Kelsey Ketterman. Gordon Capshaw, 75, died by senseless gun violence on Wednesday, September 6, 2018. Gordon was truly a free spirit. He was kind, generous and non-judgmental. He had a joke for everyone and every subject. He loved babies, puppies and the Toledo Zoo which was where he had his first job. He served in the army in the Vietnam War. He was born January 22, 1943 to Dolores and Gordon Capshaw who have preceded him in death. He is survived by his wife, Catherine Hoolahan; his two sons, Peter and Colin; his sisters, Mary (Murray Todd), Walling (Richard Mariea), Eileen (Arthur Wilen), Alice (John Estes); his brother, John; his stepsons, Brian and Patrick; and many nieces and nephews. He also leaves behind many friends who are as crazy as he was. Please send contributions to The Toledo Zoo or the Brady Campaign to Prevent Gun Violence, 840 First St. NE, Suite 400, Washington, DC 20002.